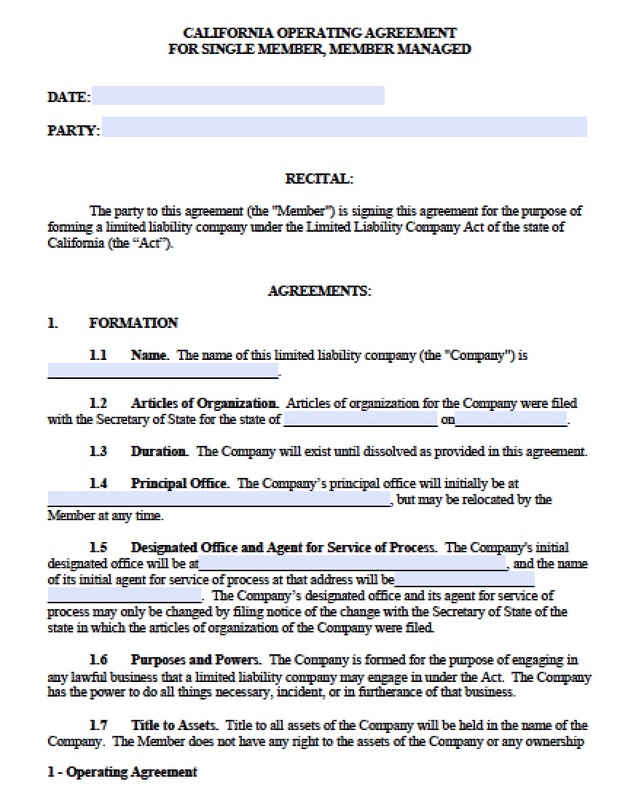 The single member LLC operating agreement for California is designated for a company with one owner. The reason to create an agreement is for protecting the entity status of the company. In other words, any court may take a look at an LLC’s records to see if in fact it is legally a separate entity and the operating agreement helps prove this point on behalf of the owner. This is why it is further recommended to elect having the agreement signed in front of a California notary public.